An inter-regional seminar on national statistical systems reviews, gathering 25 participants from selected Caribbean and Pacific Small Island Developing States (SIDS) as well as regional and sub-regional partner organizations, was held in Nadi, Fiji on 1-3 August 2017. The seminar was jointly organised by ESCAP, ECLAC and UNSD in the framework of the 10th tranche of the Development Account Programme on Statistics and Data, and was hosted by the Fiji Government. The objective of the seminar was to achieve a common and improved understanding among participants on institutional, organisational and managerial arrangements that can best sustain the development of national statistical capacities with the objective to respond to user needs for high-quality and internationally comparable statistics including the production and dissemination of indicators for the follow up and review of progress towards the 2030. The Seminar also stimulated an exchange of best practices and lessons learned among countries having undergone a national statistical system review and eventually enlighten other SIDS in the Pacific and the Caribbean that would wish to undertake such a review. Eventually, the seminar generated recommendations on how to best organise and conduct a national statistical system review that would contribute to the preparation, the implementation, the monitoring and/or the update of national strategies for the development of statistics. 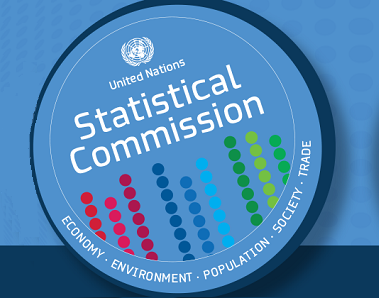 The outcome of the seminar will also contribute to the update of the 2003 edition of the UN Handbook on Statistical Organisations aiming at providing guidance to chief statisticians and senior managers of statistical organisations to achieve a modern, more integrated and coordinated national statistical system while reinforcing leadership, communication, and dialogue through institutional and organisational reforms.